Wings outstretched, a butterfly pauses on a concave disc. 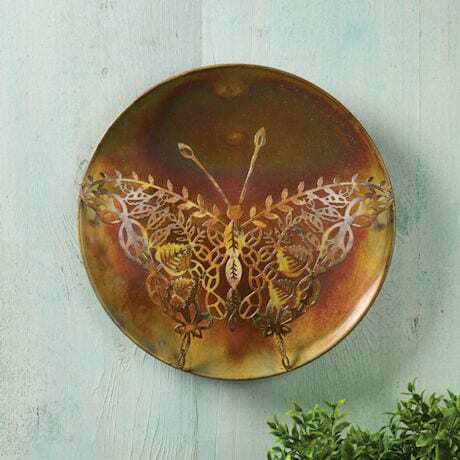 The lacy lasercut metal gleams against the flamed copper finish of the disc. Enjoy indoors or out. 12" diameter. Hanger on back.